The vessel is made from abaca pulp and dyed with pigments. The base is made from cane woven with raffia. The raffia is then braided and brought up to the top of the vessel between two layers of paper and braided across the edge of the piece. Turquoise stones are stitched onto the surface . 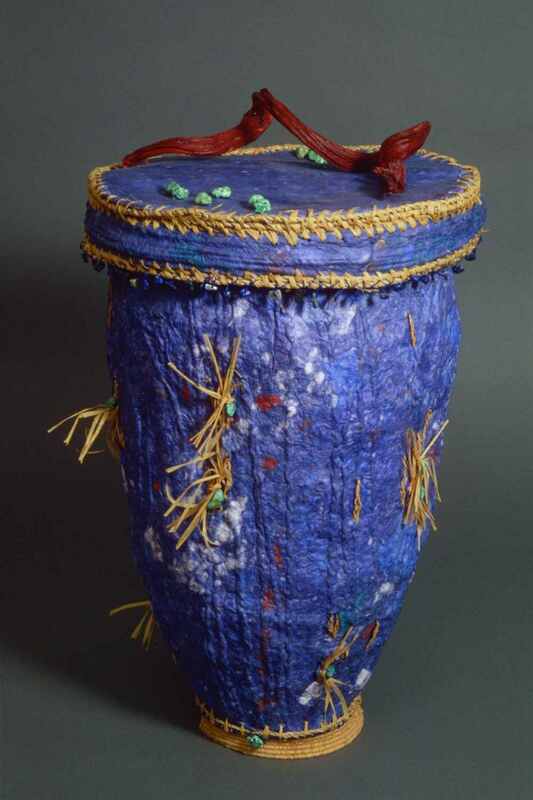 The lid has a cane rim covered with pulp and edged with raffia. Lapis chips are sewn onto the rim. The handle is made from seaweed found in the West of Ireland.